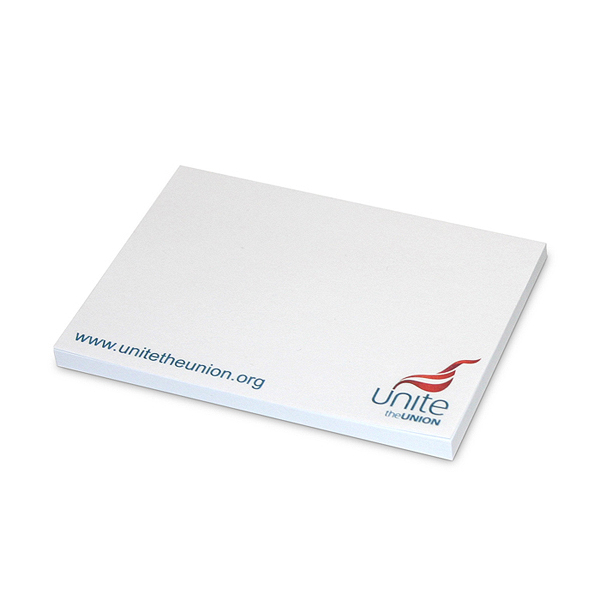 50 sheets of white paper. 105 x 76mm Printed with Unite logo and web address in full colour. Packed in 5's.